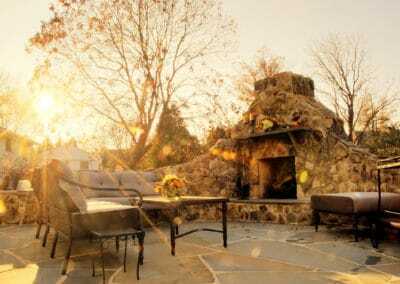 Unique Landscaping has 20 years experience crafting ideal outdoor getaways using outdoor fireplaces and more. Add warmth to chilly evenings and character to your backyard landscape. There’s no faster way to turn your outdoor living space into a luxurious getaway in your own backyard than with designer fire features. 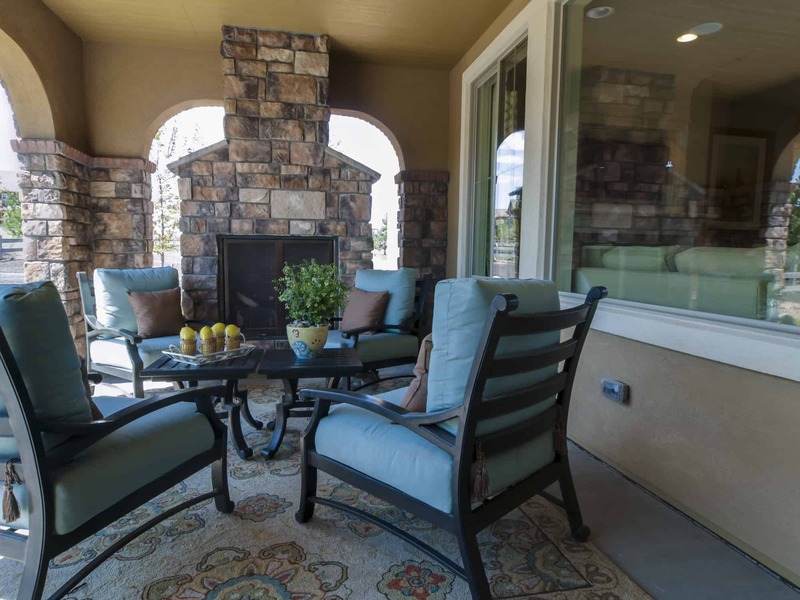 You can make your patio spark to life with an outdoor fireplace, fire bowls, and fire pit rings. If you’re ready to impress your company with memorable nights under the stars warmed by the crackling fire of your outdoor fireplace then it’s time to give Unique Landscaping a call! We all have fond memories of sitting around a fire surrounded by friends on a cool and crisp evening. Since mankind’s oldest histories people have been bonding and coming together around the crackling embers and dancing flames of stone fireplaces. Now you can be the one to host these peaceful, enjoyable, and warm nights for your family and friends. 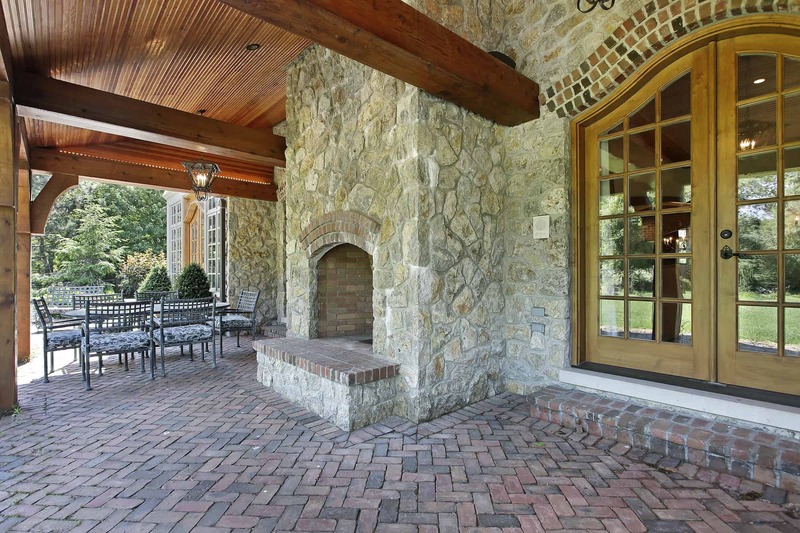 Not only do outdoor fireplaces provide a beautiful and memorable setting, but they also add to the functionality and usefulness of your home. 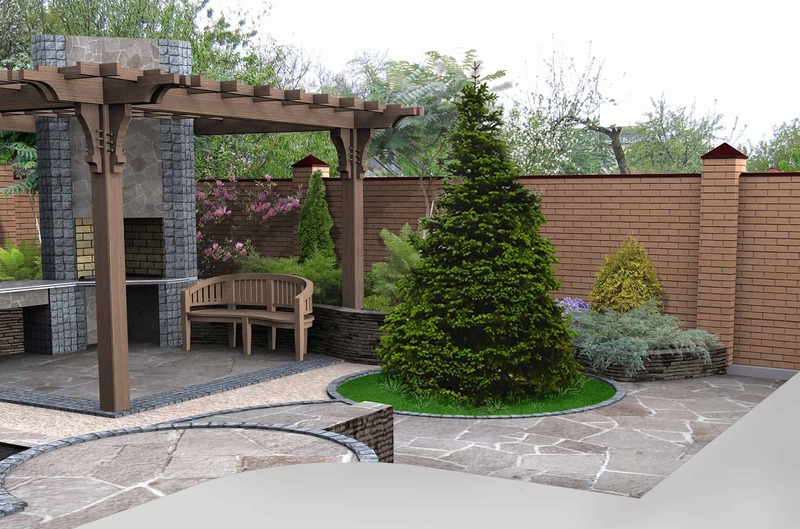 By installing an outdoor fireplace you can extend the use of your backyard beyond the just the warm months into an area that is enjoyed all year long. 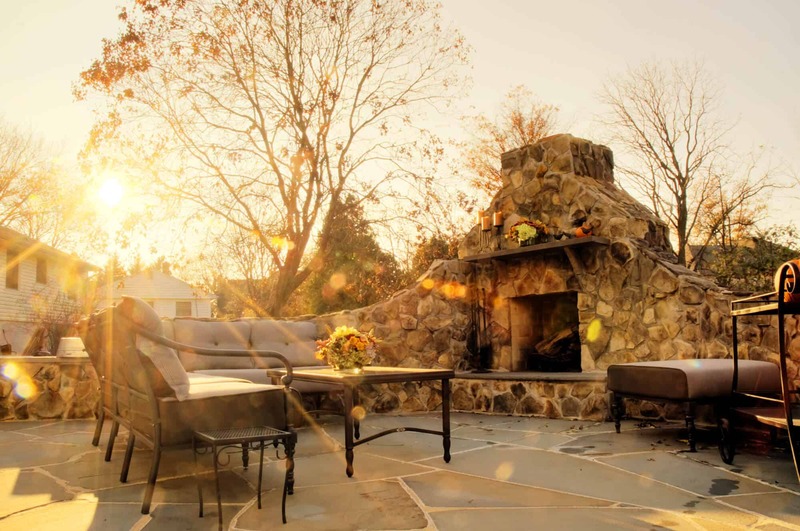 These outdoor fireplaces will add charm to your home and provide the perfect place to enjoy a nice cup of hot chocolate next to soothing a roaring fire to make a comfortable backyard oasis even through the winter months. Call us today to go over options and to get ideas or share your vision for your wintery outdoor oasis!